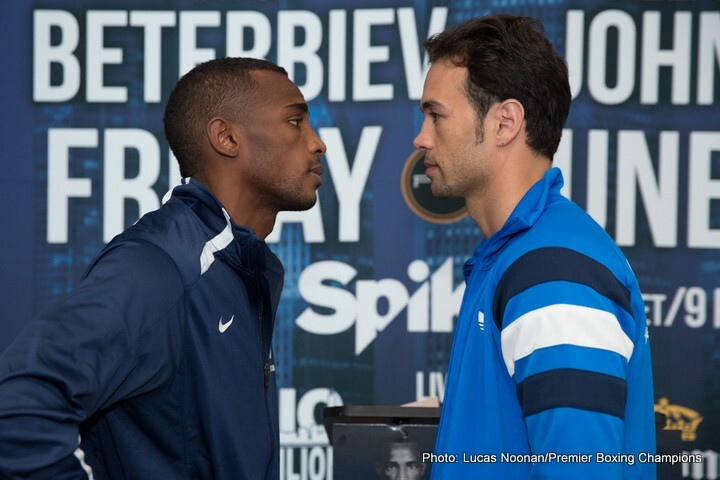 Across social media today, it would appear that many UK fans are still unaware that tonight’s Premier Boxing Champions card from Chicago that’s headlined by slick Cuban Erislandy Lara facing aging contender Delvin Rodriguez for Lara’s WBA (reg) 154 lb strap, is being broadcast on newly launched, free-to-air channel Spike UK. Lara (20-2-2, 12ko) has yet to box in 2015, his most recently fight a points shut out over ‘The Money Team’s” Ishe Smith last December. This followed his controversial SD loss to Canelo Alvarez 5 months previously – a fight that split opinion, though the Cuban believed he won the contest on the backfoot as opposed to the pressure fighting style of Alvarez that many believe was enough to nick it. I expect Lara to do the business against Rodriguez, who is best remembered by me at least, for inflicting that famous and horrendous eye swelling on Pawel Wolack back in 2011. One of those fighters who has always fallen short of top level, Rodriguez has not had his name in the ‘win’ column since May of 2013. After getting knocked out by Miguel Cotto in October of that year, he didn’t box again until May of last year when he drew with French-Candian Joachim Alcine. Appearing on the undercard is vaunted 175 lb hope Artur Beterbiev, in his 9th pro outing, facing late replacement Alexander Johnson. The dangerous Russian, newly signed to Al Haymon, will be looking to impress as he chases world title fights with lineal champion Adonis Stevenson and/or ultimately, old amateur rival Sergey Kovalev. The action starts at 2am tonight on (Freeview) Spike UK.